Have you been waiting all year to pull out your winter sweaters for the cold season? Or maybe you’re itching to show off that perfect ugly Christmas sweater (or maybe just itching)? Here is the perfect chance. Head over to the Citizen Burger Bar in Clarendon. Combine that with drink specials and burgers and it makes for a can’t-miss event. There are a lot of aspects that go into making the holiday season jolly, and for many people that includes presents. If you’re shopping for friends, coworkers, loved ones, or someone else entirely, consider shopping local in Arlington, VA. Shopping at nearby, independently owned stores not only will feed money back into the local economy, but might just help someone else afford presents for their loved ones as well. With the seasonal shopping comes wonderful deals on everything from books to clothes and everything in between. If you find your closet filling up with beautiful new clothes you bought for a steal, consider donating your old clothes to those who need them. 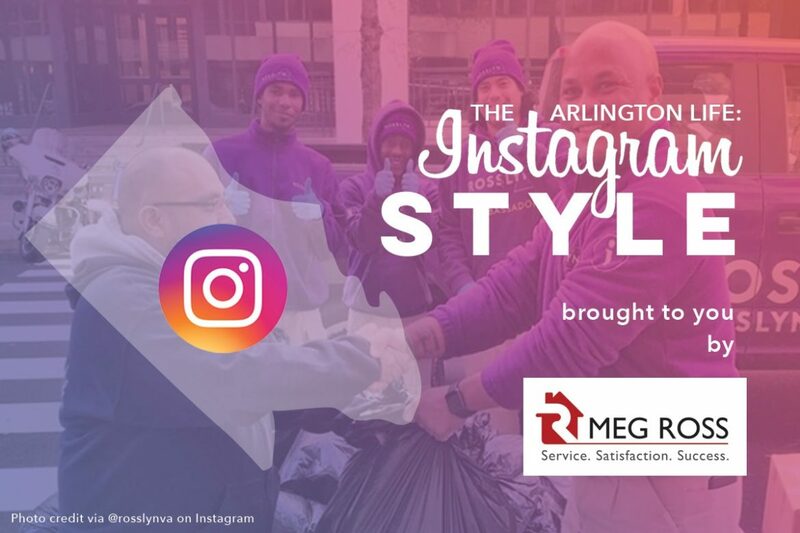 The folks in Rosslyn managed to donate 265 bags of clothes all together! Did you donate to our Holiday Clothing Drive? Thanks to you, we beat last year’s record, and our Ambassadors delivered 265 bags of clothing to @ASPANlink! All of that warm winter clothing will be shared with our neighbors in need throughout the holiday season. We’re thankful to be part of a caring community! This morning five of our dogs went on a special field trip to @dogmadogbakery where they got to pick out an early Christmas present! They all had so much fun sniffing the store and picking out a toy for themselves. We were even sent home with a big bag of toys for the other dogs! Thank you for a great morning, Dogma! The holidays are a time to spend with family and those you love, but we shouldn’t forget those who have passed either. Volunteers in Arlington make sure of that by putting wreaths on the graves of those buried in Arlington National Cemetery. The result is a beautiful way of honoring those who have served for our country and, for some, may not receive visitors otherwise.